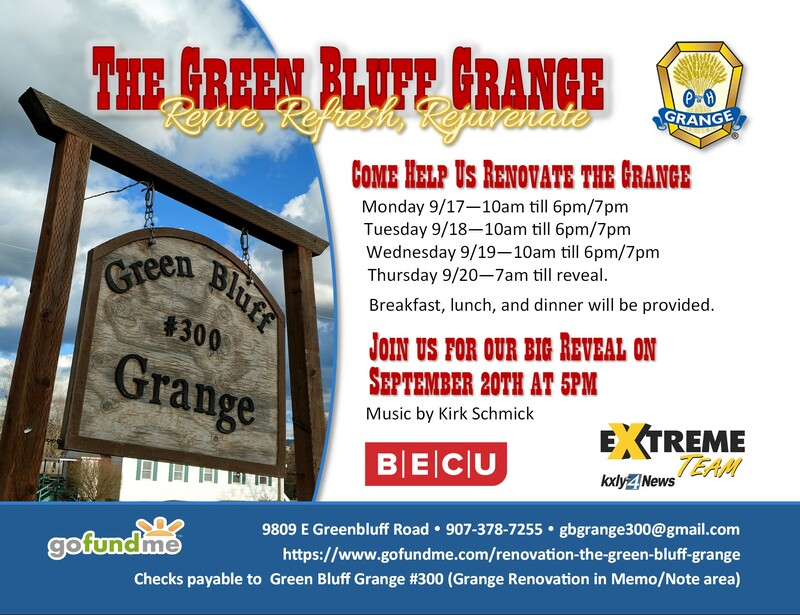 If you are able and willing the week of September 17th from 10am(ish) until 7pm(ish) Mark Peterson & the KXLY Extreme Team need many volunteers to help do various tasks at the Green Bluff Grange renovation. The great thing about this kind of volunteering is you just show up and then he’ll put you to work! The Grand Reveal will be at 5pm on the 20th.